On an evening in San Francisco when the people behind Battlefield 3 showed off the June expansion to their big war shooter, I asked them about the future beyond that future.. and about a missing element from their past. After June's Close Quarters indoor-infantry-combat-centric pack comes the fall's Armored Kill expansion. The latter is all about vehicle combat on the biggest maps ever created in the series. "I actually don't know the kilometer size of it, but it's going to be big," DICE studio manager Karl Magnus told me as we chatted on the second floor of a nightclub where Close Quarters was shown off. "It's not a goal, per se, to make the biggest maps. We were doing some prototyping of these maps now and [wondered] how much vehicle force could we put in there? When you do that, we started to grow the map. And, at some point, we just realized that this is the biggest map that we have ever done, which of course makes it a cool thing you can talk about. But the focus is to create the best vehicle experience we've ever done on maps." Armord Kill may be great for some of you out there, but there have got to be a few players of Battlefield who, like me, just can't hack it in multiplayer. We don't find the single-player campaign to be a sufficient training ground for multiplayer, and we get mauled or become lost when we try a random game against random people. Do the DICE folks ever consider incorporating a good multiplayer tutorial, I asked? "I'm afraid it's one of those things that, in the end, when push comes to shove, gets cut," Magnus said. "I agree 100%: We need to teach our players better. It's just one of those things... [We think]: 'Well, our players know how to play it.' Not all of them, especially now when we're getting more and more players in. So it's definitely something that's on our radar that we want to fix." 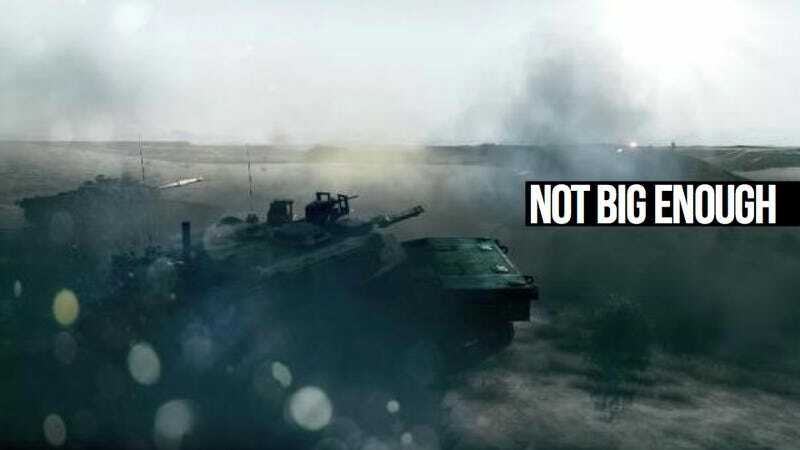 Top image from Battlefield 3's Thunder Run vehicle-centric mission from the game's single-player campaign.